Winter time means longer nights and shorter days. That means we get fewer hours of sunlight. The temperature turns cold with gusts of chilly wind. These factors are enough to dampen our mood, make us feel melancholic and low. This scenario is quite common in 10 to 20 percent of the American population. 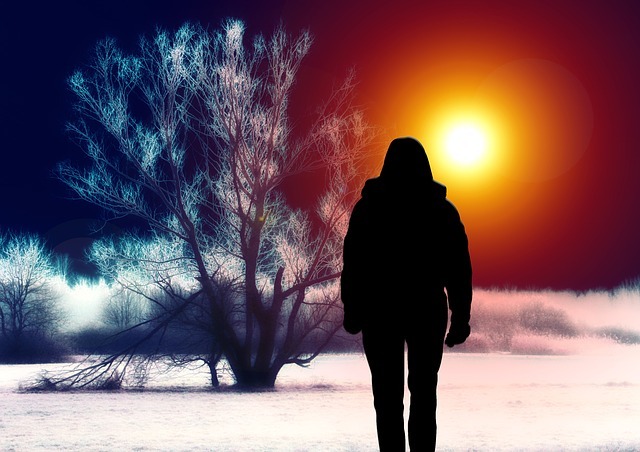 According to Dr. Kelly Rohan, PhD this psychiatric condition known as seasonal affective disorder (SAD) is commonly seen in regions with shorter exposure to sunlight. For instance, seasonal affective disorder is more common in Alaska than any parts of the United States. 10 percent of the population in Alaska experience fatigue, loss of interest, difficulty in concentration, and overeating secondary to SAD. Based on previous studies, SAD is more common in women than in men. Genetics may also play a role. Those who have family members who suffer from SAD may also suffer the said condition. During winter season, our body gets exposed to less sunlight. This disrupts our normal circadian rhythm. Consequently, our body produces less serotonin. Aside from being a neurotransmitter, this biochemical is also associated with mood balance. A decrease in serotonin levels can also affect sleep, appetite, libido and memory. Wake up early and open the curtains. Get as much sunlight sunshine as you can. Go outside if the weather is bearable. It is important to get as much natural light as possible. Exercise stimulates the body to produce the feel good hormones called endorphin. Going to the gym for a workout will temporary keep your mind away from a depressive plus it is a great way to interact with other people. If you do not want to go to a gym, you can always go out for a run or maybe a home workout. Just make sure to open the curtains for an added boost of sunlight. 3. Turn on the lightbox. Sometimes getting enough sunlight is impossible. Getting a lightbox may help provide the same benefits as sunlight does. Lightboxes may emit artificial lighting but it is still better than not having any form of light therapy at all. Lightboxes differ in size and light intensities. Look for one that you can conveniently use. 4. Keep your daily interests and hobbies. Winter is no reason to skip on your weekly night out with friends, basketball game or book club. Winter time may spell hibernation but do not neglect your daily activities and interests. It can keep you from getting lonely and feeling alone. 5. Practice meditation and other relaxation techniques. Meditation and relaxation techniques help clear the mind of stress and anxiety. Learning progressive relaxation techniques helps increase body awareness. It would be good to sign up to a yoga class if you are prone to experiencing seasonal affective disorder.